Hi, Welcome to my web page. You have taken the first step in finding out all about myself and the wonderful ladies I have working here at Healing Art Therapies. It is of great importance to me that we make our clients feel comfortable and the atmosphere is one of supportiveness and a confidential environment. I am a member of A.A.M.T. and you are able to claim with your private health fund. I have worked with AFL Players,Martial Arts Clients, Representative Basketball Teams, Tennis players,Rowers, Hockey Players, Under 18 Aussie Rules players, The Police Bike Riding Team, and the Fire Brigade. I also have treated clients with Fibromyalgia, Chronic Fatigue, Cerebral Palsy, Multiple Sclerosis, Rheumatoid Arthritis and Cancer Patients (Breast, Ovarian,) My job is a very rewarding one, and to be able to help is one of great satisfaction. To me Massage is a very important part of our lives today as we all lead very hectic ones. I will help provide the best possible treatment for you with a positive outcome. One day a month we have what is called a "BEAUTIFUL YOU" morning for women that have been diagnosed with cancer and are undergoing chemotherapy or radiation. You are shown beauty techniques on skin care and makeup. Followed by a hand or foot massage. Some of the months we have guests in to do soap making, scrap booking and much more, The morning is all complimentary so feel free to ring and book in. It is a fun and very relaxed morning. These mornings are great for making new friends and sharing your thoughts If you know of anyone who has been diagnosed with cancer and would love to join us please let them know.. If you have a good friend or loved one that is going through the journey of cancer and you want to treat them to some pampering you can purchase a voucher booklet for them to use as their leisure. “Beautiful You” is a program that focuses on helping women and their families living with cancer. Our aim is to provide practical, financial or emotional support. We want to help families lead a normal life and try to make a difference no matter how small. As soon as you pass through the gates into Healing Art Therapies on Buderim you know you are in a special place. You will feel the ambience as you relax in the knowledge that what happens here will be of lasting benefit to you. Your life will be changed for the good. You only get one chance at life so live it. Debbie's skills are complemented by her Beauty Therapists who perform their magic with the unique product Pervonia. Pervonia is a world leader in skincare and is uniquely tailored to treat all individual skin types. For those wanting special pampering healing art therapies beauty therapists can work their magic with full body exfoliations followed by a full body massage included all in the one treatment. Indulge in a Body wrap and feel absolutely relaxed. After your treatment words will not be able to describe how you feel. You will be speechless. Pure Heaven. Do you like your head beng massaged well this is the treatment that includes your head and neck, massaged improves blood circulation and revitalies your hair and scalp. This treatment takes approx 45 min and is absolutely relaxing for the whole body. You will have warm oil poured onto your forehead then massaged through your hair. Totally relaxing. $45. Your visit here at Healing Art Therapies will be a day to remember for the rest of your life. You will be greeted with a friendly and warm smile by Debbie ,Jo,Vanessa and Sharyn. Be pampered like royalty because you deserve it. The atmosphere is one of peace and serenity. 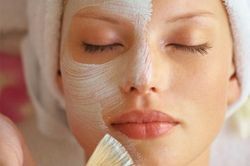 You will feel so relaxed by the end of all your treatments you will not want to leave the ambience. If you have a group and are looking for a day to remember a pamper package can be organized. Eyelash Extensions by Vanessa . Poly gel Nails and Shellac Nails.